In the Furuichi and Kanaya districts of Yanai city rows of Japanese traditional style merchant houses with tile roofs from the Edo period can be found. 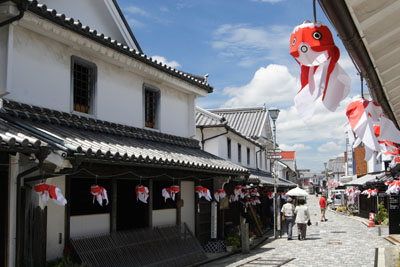 In the Edo period, it was a flourishing street called the storage room of the Iwakuni Domain. 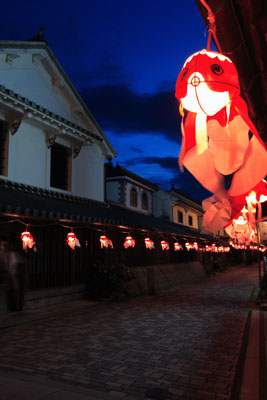 In summer during the goldfish lantern festival, it is decorated with lovely goldfish lanterns.